August 21, 2013 -- Latino Startup Alliance (LSA) based in San Francisco, CA is excited to announce that it will be expanding its presence to the California Central Coast. The Central Coast has been very active in the tech ecosystem with recent Startup Weekends being held in Santa Maria, Santa Barbara, and San Luis Obispo. Spanning some of the most beautiful coastline in California from Monterey to Port Hueneme, the Central Coast is home to a vibrant collective of change agents, dynamic entrepreneurs, and forward-thinking educators. Highlighting the Latino entrepreneur and tech community's need for a bigger platform is what a global organization like LSA can provide. In addition, leading LSA Central Coast's (LSA CC) efforts will be Jose Huitron - Founder of Hub 81 and Co-Founder of Crowdismo, the first Latino-focused crowdfunding platform. Jose has been very active in the local tech community through efforts such as Startup Weekend Santa Maria helping to accelerate the conversation on entrepreneurship and increase startup activity. "The Central Coast is fast becoming a booming tech and entrepreneurship corridor. An opportunity to help foster increased diversity in tech and entrepreneurship is a welcome challenge. The Latino Startup Alliance brings an important bridge to the region with direct access to Silicon Valley and vital support that will help increase the number of Latinos in tech and entrepreneurship locally." says Jose. Let’s be honest. We all love playing with new gadgets, especially ones that will improve the productivity level in our business or simply for entertainment. As Latinos, it’s no surprise that we are enthusiastic mobile users. Three-in-four (76%) Hispanic internet users say they access the internet on a cellphone, tablet or other mobile handheld device at least occasionally, according to a Pew Hispanic survey. Nothing is growing faster than the adoption of portable devices and the consumption of content on these devices. In the U.S., Hispanic consumers’ usage rates of smartphones, television, online video, social networking and other forms of entertainment make this group one of today’s most engaged and dynamic populations in the digital space, according to Nielsen’s recent State of the Hispanic Consumer: The Hispanic Market Imperative report. It’s proven that mobile presents a significant avenue of opportunity for marketers looking to reach Hispanic consumers. So with all the data presented, it’s comes with no surprise that the go-to gadgets for a majority of savvy business owners or entrepreneurs are a smartphone or tablet. They can definitely help knock out the to-do list, especially with the help of business enhancing apps, such as Evernote, Square and HelloSign. Among Latino adults, half (49%) say they own a smartphone, so you know that cafecito break will be a productive one. Let’s look beyond the a smartphone or tablet and dive into gadgets that will take business performance and everyday life to a whole other level. Who knows … your tech savviness may even help you seal the deal at your next client meeting. Touch screen? That’s so 2007. 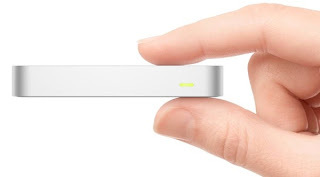 This smartphone-sized gizmo by Leap Motion puts touch screen to shame. You will no longer need to use a keyboard or mouse and kiss those smudge marks on your monitor goodbye. With the Leap Motion Controller, all you have to do is wave your hand or lift your finger, and, as if by magic and pinpoint accuracy, stuff moves on your screen. You can even pick something up and put it down. Just like in real life. It’s been called “the best gesture-control system we've ever tested,” by Wired. It’s design is sleek and only 3” long, so it’s perfect for travel or beside your computer. Using this gadget will not only make your feel like you’re on the next level of your tech game, but it will be sure to impress potential clients when presenting your company’s services. This gadget is a 6-in-1 solution for your iPad. 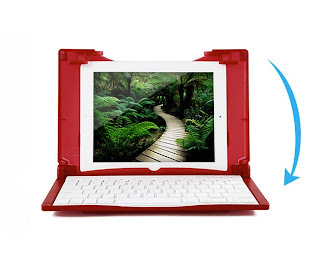 Not only will it protect your iPad, but it works as a battery charger via USB and micro USB port for your smartphone and tablet, has a wireless keyboard, speakers and provides flexible viewing. You also have the option to customize the look of the case by adding your logo. What says, “You rock”, more than a branded case for your team? It’s lightweight and will make meeting note-taking a snap. The DOCKr offers an extra 4-8 hours of extra battery lifetime and will allow you to carry and continue your work while on the go. Having a wireless portable drive can get you out of a tight spot when running late for a business trip or meeting. Did you forget to load your 32GB video to your laptop? No worries. Add it to your wireless drive in advance for safe keeping. Kingston’s Wi-Drive lets you store and share your content with your colleagues. It gives you up to 128GB of added storage for your mobile device and lets you share photos, videos, files and more with three or more users on their own mobile device. Access the Wi-Drive through any Internet browser or download one of the free Wi-Drive Apps to access and easily share the content. This pocket-sized device offers 4 hours of of continuous use and can handle a few drops, bumps and knocks. 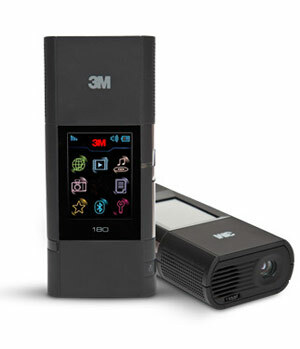 With a 3M Mobile Projector, you can connect to virtually any digital device with digital output and share it with others. They’ve made it so easy to plug in and present. With Bluetooth technology‚ you can access‚ update and download files over the Internet. So you never again have to worry about having the right content for your presentation. Need a projector that supports Microsoft Office suite and Adobe files? They’ve got you covered. Need to connect to an Apple device? Consider it done. You will always be prepared when walking into that corporate office for a presentation. This credit card sized scanner packs a punch. It allows you to scan all your receipts into monthly directories, then import to software to view, OCR (Optical Character Reader) into expense database, edit, create Excel report for the period, and also create a report containing Excel and all related expense images together to easily send by email. This device is perfect if you are a frequent traveler or always taking clients out to dinners. No matter where you are, you can bring this scanner with you and capture receipts and business contacts. The best part about this little scanner is it can hold up to 600 images. Remember to pack this device for your next week-long trip. We are excited to announce a special segment on Vista Hispano focused on shedding some light on the state of Latino entrepreneurship. Joining us is Mark Clayton Hand, an MBA from Oxford University and a cofounder of the SBS Seed Fund, a student-run startup fund within Oxford's Saïd Business School. Mark brings a unique set of investment perspective to the table and is focused on helping to illuminate the dynamics around the current state of affairs that is the exciting state of Latino startups. A huge shout out to Mark for joining Vista Hispano. These companies are very different than the high-growth entrepreneurs on the hunt for venture capital or private equity investment--the companies we're interested in here. 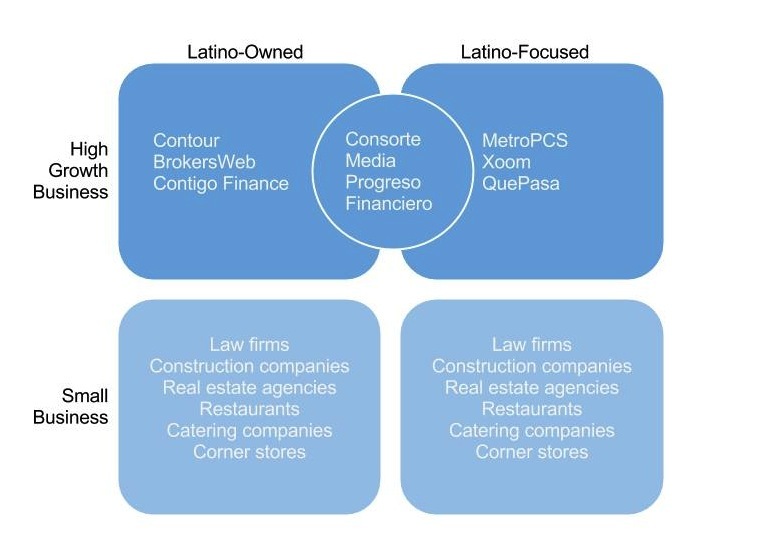 Some of those companies, such as Marc Barros’ Contour, are Latino-owned but not Latino market-focused. Others, like pre-paid phone provider MetroPCS, find success by reaching out directly to Latino customers; but they are not Latino-owned. A handful of companies, such as Alicia Morga’s previous company Consorte Media, are both Latino-owned and Latino-focused. In our next post, we'll take a look at some of the challenges--both real and imagined--faced by Latino startups. Mark Hand (@markchand) is an MBA from Oxford University and a cofounder of the SBS Seed Fund, a student-run startup fund within Oxford's Saïd Business School. He spent two years with Gray Ghost Ventures investing in early-stage companies in the US and India. Mark is currently researching startups and investors in the US Hispanic market.